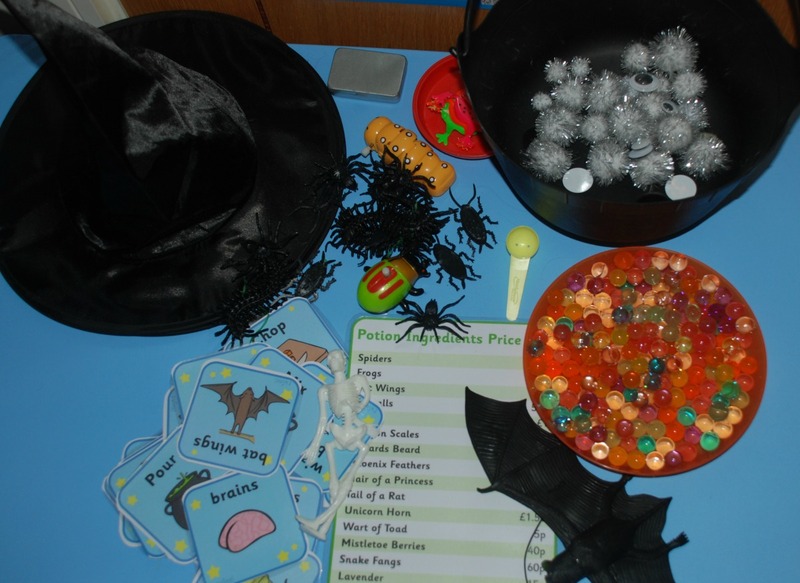 The kids are still reading the Room on the Broom every day and have been acting out bits of the story so I thought I would add some extra goodies to their role playing. We had some witches hats that we bought in Tesco last year and our witches cauldron but we needed the ingredients to go into the cauldron. I bought some cheap creepy crawly toys at Sainsbury’s over the weekend so I gathered those on the table. 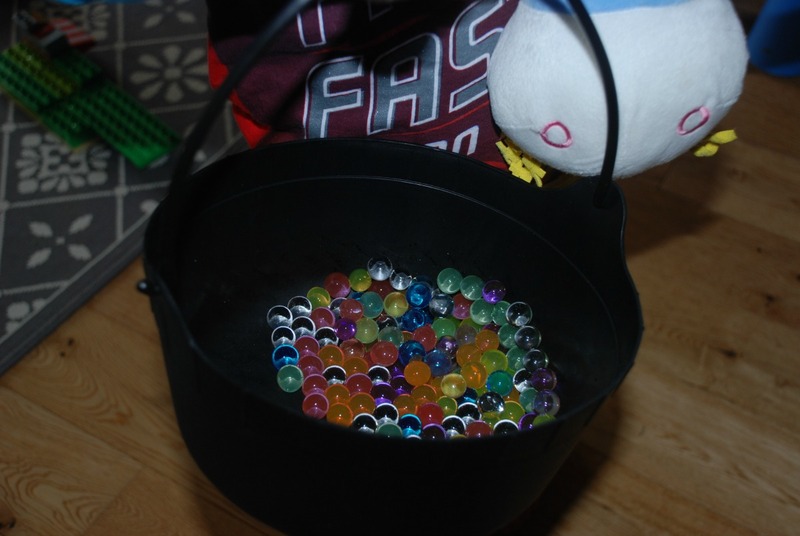 I also added some glitter pom pom balls and googly eyes to the cauldron. 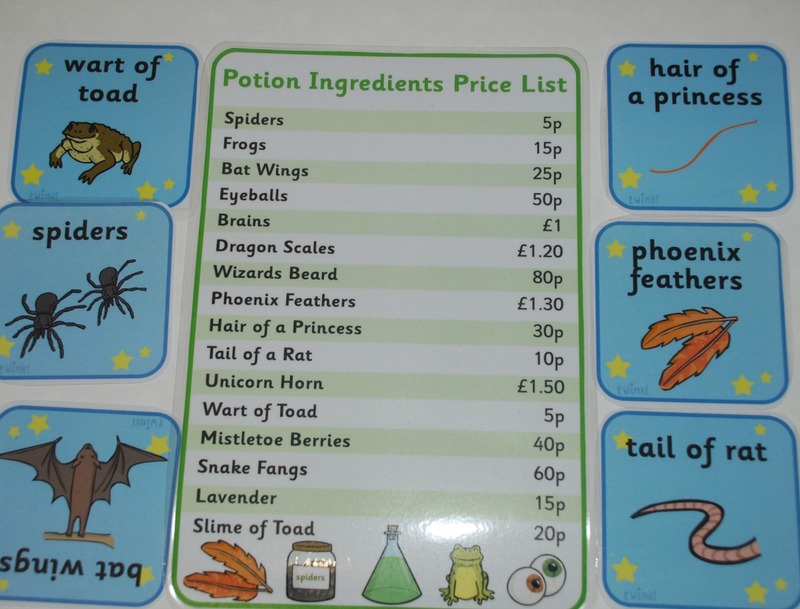 I printed off this great Potion Ingredient price list from Twinkl (gold subscription for just the price list or it is part of the Platinum potion shop role-playing set) but I really wanted Pink to be able to read her list and then add objects to her cauldron. I could not think of anything suitable until I was packing some toys away and picked up the water bead tub. They have a wet look and wet feel to them so they where perfect for pretend ingredients. I used a mixture of coloured water beads. Lastly I added some word card out of the Potion shop role playing pack. 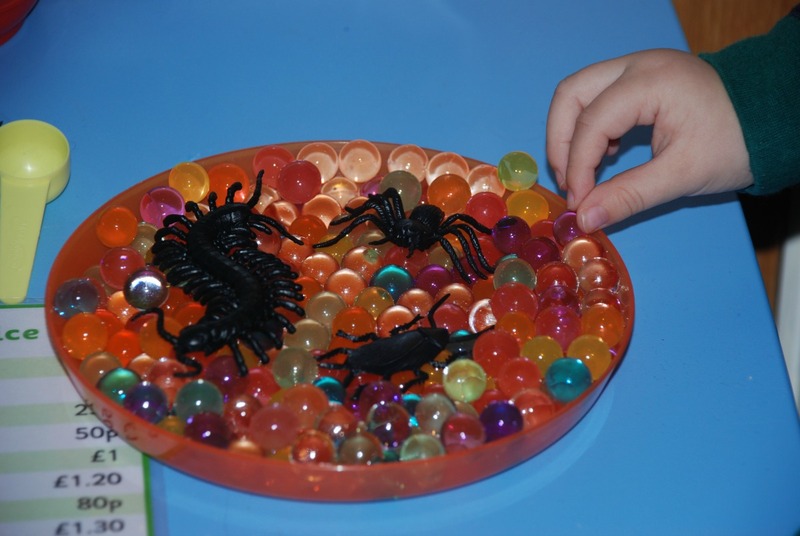 Blue was really taken with the water beads and the creepy crawlies and loved mixing them all together. For some reason he was not keen on using the cauldron he just mixed his potion on a plastic plate. But it kept him busy for ages so no complaints. 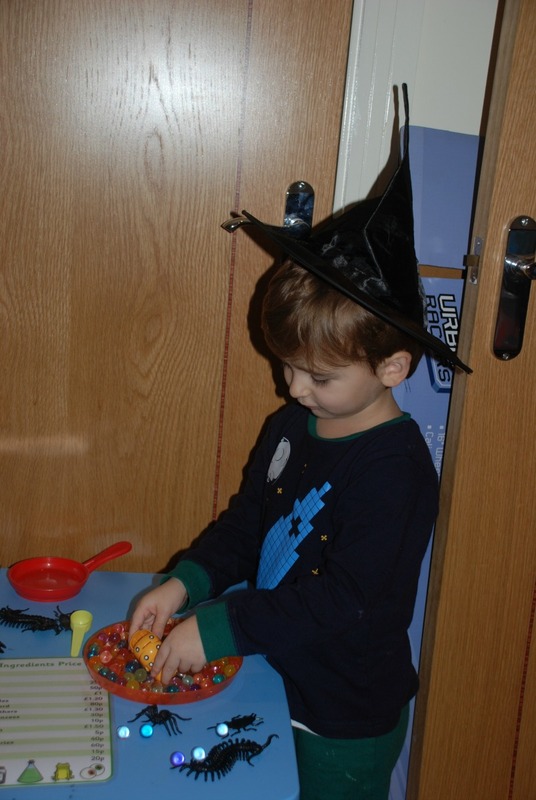 This entry was posted in Homeschooling and tagged homeschooling, julia donaldson, role playing, Room on the Broom, sensory play, Witches and wizards. Bookmark the permalink.